You’ve heard me say it over and over that the key to being successful in starting your own vegetable garden is to start with a plan. Right now is the time to get organised, set your plan to paper and get started. • How do you make a plan? • What should you include? • How do you know what space you need for different plants? • What should you grow? Well panic not. Its easier than it sounds. To help you out I’ve designed this set of printable planners to help you plan the beat vegetable garden ever. So grab a cup of something hot and download your very own free printable garden planner by clicking above and let’s get started. You can also sign up for our How to start a vegetable garden course you can do from home below! It’ll take you through each step to plan your ideal vegetable garden. Helping you with what to grow and when and where to put everything. The first sheet in this planner is a section on setting your goals for the gardening year ahead. What’s your main reason for starting your garden? Are you hoping to teach your kids where their food comes from, get more exercise or eat healthy organic food. Step 1 – Set Your Goals. Having a clear goal in mind helps you plan your garden around that goal instead of having a vegetable patch and trying to adjust it to your needs. It also helps you plan around your goals. For example if your goal is to have blueberries for breakfast everyday then you need to plan to grow blueberries. If you have to try to squeeze them into a garden later there may not be room. Your garden then becomes personal to you and everything you need to achieve your goals, not things you feel should be included in a vegetable garden. Yes there are certain rules you need to follow but remember this is your space, make it individual to you and your family. • So if you want to save money, try planting vegetables that are expensive in shops and ingredients you use a lot of. • If your goal is to eat healthier, plan a succession of yummy fruit and vegetables to keep your plate brimming with organic nutrient filled crops throughout the year. • Or if your hoping to get your kids out in the fresh air and learn where their food comes from then plant lots of things you can pick and eat straight from the plant, raspberries, peas, strawberries and spinach are all good choices. Set out goals before you plan your garden can help the space be more personal and useful to you and it won’t feel like as much work. Our goal this year we’re adapting our goal of growing organic vegetables to feed us everyday from just our allotment to our back door. I would like to have fresh greens, herbs and fruit closer to hand so I can nip out of the back door when I need an ingredient. Sometimes we harvest a crop at the allotment but its started to wilt by the time we get home. So this year I will be looking into new methods of growing some of our desired edibles in our small backyard that doesn’t add to our work load a lot as there is just not enough hours in the day. Knowing what not to grow is as important as growing the right thing. • If you have a few pots on the patio your not going to grow a field of potatoes. • If your teaching kids about food your not going to try growing something that takes up all your time and attention and needs constant care. • I’m hoping to grow a vertical pallet garden very soon so I know the soil will be a lot drier so growing plants that like moist conditions is a waste of time. Now is the time to do your research. Spend some time going through seed catalogues and online companies and start making a list of all the seeds you would love to grow. Keep in mind your goals and don’t just write down everything you see. If your planting in containers, look for compact vegetables used to growing smaller or produce heavily in a small space. Step 2- Measure Up Your Space. The next step is to measure the space you want to use for your vegetable garden and plot it on paper. If you are using a section of your garden, measure it and plot on the ‘Layout’ printable provided. If your using a few large pots or raised beds then simple do the same with these. Plot out the sizes your using. Drawing to scale allows you to accurately predict how many or each plant you can fit into each space. Now, Where Are You Going To Grow? You also need to take a moment to consider what conditions you have in your garden. You might have a perfect sunny spot but is it acidic soil or lime? Is it dry and sandy or moist clay? How many hours of sun does it get? Make a list of plants you’d love to grow and keep a note of conditions they prefer. When looking over the seeds available, you may have noticed that different vegetables are classed as different plant families. If your growing different vegetable its helpful to keep the plant families separate so you can rotate them each year to prevent a build up of pests in the soil. In your printables you have a 5 year crop rotation plan. This helps you know how to rotate your vegetables to get certain advantages. 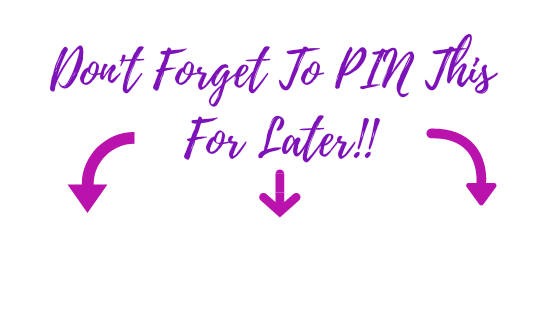 If you haven’t downloaded your printables yet you can click below now. This feed is used up by the crop but it does break the soil into a weed free crumbly mix perfect for the next crop. Onions then follow and enjoy the softer, weed free soil and left over nutrients. Next come roots. They don’t require extra feed in the soil and enjoy the crumbly soft earth. Then you’ll need to add some compost to the soil for pea and bean crops. These grow well on nutritious damp soil and grow nitrogen nodules on their roots. Leaving these in the soil helps to make this nitrogen available for the next crop. Brassicas are robust leafy greens which need added compost in the soil and thrive on the nitrogen rich soil left after your legume crops. So, you see rotating crops can be very helpful in open ground gardens. This step is optional, but if you are planning to be organic is your vegetable growing the using this companion planting sheet will help you find plants that help each other to grow to their best and not fight with each other. Some plants release chemicals into the ground that stops the growth of other plants, but some plants produce chemicals that can be a benefit to other plants. Famously there is an age old system called ‘The 3 sisters’ used by tribe women in North America. They grew sweetcorn, beans and squash together. The sweetcorn benefits the beans as they can climb up the stems and the beans provide plenty of nitrogen for the hungry corn and squash. The squash also contribute by shading the ground around the roots keeping it cool and moist so the plants don’t dry out. So look over the list and see if you can make any pairings to benefit your plants. It’s not an exact science but a useful one to try. The next sheet in the series is the Growing Record. Go through each vegetable you’d like to grow and fill in the details so you have them to hand. It’s so much easier to refer back to a sheet to see when a crop should be ready or what food to give each one instead of having to rummage through lots of seed packets. Write out each vegetable, then under the column write its needs, requirements and space it needs and any other information your think may be useful like feeding requirements or pruning times. Step 6. When To Sow Your Seeds. This sheet is very helpful for pinning down at a glace which crops need to be sowed when. This seed sowing chart is just a guide to give you an idea of approximate times you will need to adjust them taking into account your local area and zones. Step 7. Making Compost To Feed Your Plants. Step 8. Avoiding common mistakes when you get the family involved. So there you go, some fantastic planning sheets to get you started on your vegetable garden journey!! Thanks so much for downloading your copy of this Vegetable Garden Planner! Feel free to share your garden planning experiences with me through my comments, contact page, or Facebook page. I can’t wait to hear about your plans! I LOVE Setting Goals!!!! But for some reason never thought to put pen to paper and write them out for our garden the way you wrote here! I love this idea and will be trying it for BEFORE May come around! Love this article! So detailed down to every last step you need. will save this for sure, we plan on making our garden bigger this spring. Thanks for sharing Gail! I love the planner, it’s so much better than what I’m currently doing. Not sure why I never thought of creating a plan to organize the garden.